A drying kiln stands as a reminder of the once-thriving tobacco industry that has given way to an agritourism movement in Norfolk County, Ontario. Norfolk County is one of the most biologically and agriculturally diverse regions of Canada. The land, 1,600 square kilometres nestled on the north shore of Lake Erie in southwestern Ontario, is characterized by rolling hills, charming small towns, rare Carolinian forest and soil so sandy it's hard to identify where the beach ends and farmland begins. And, until recently, it was best known for one broad-leafed and nicotine-laced plant: tobacco. At one time, 90 per cent of the country's tobacco was grown here – which, at its peak in the 1990s, meant 100 million pounds a year. Tobacco was Norfolk's main economic driver, employing thousands of people from across the country and offshore and creating numerous spinoff service and manufacturing industries. But subsequent sin taxes, lifestyle changes and advertising prohibitions hit hard and, by the early 2000s, production had been cut by more than half. When the decline showed no signs of abating, a tobacco action team was set up to advise on the impending crisis. "There was a lot of fear, worry and anxiety," says Clark Hoskin, Norfolk's manager of economic development, who was part of the advisory team. "There was concern not only about the financial impacts, spending and jobs, but the health and services unit was also included because of the psychological and emotional issues and concerns about increased suicides and family conflict." By 2009, the long-time love affair with tobacco was over and the federal government offered up $300-million to help the more than 1,000 farmers holding tobacco quotas transition to another crop. 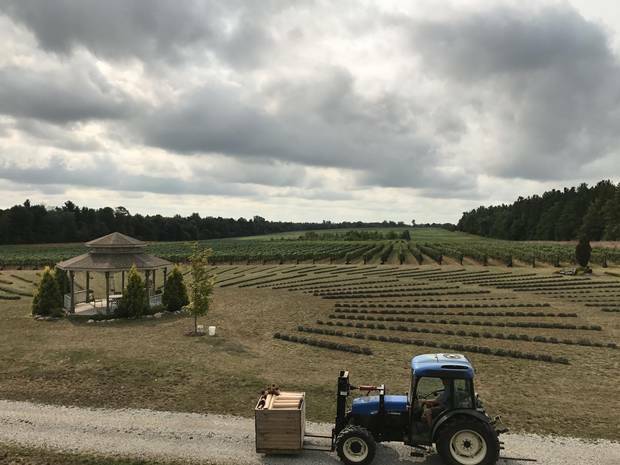 Norfolk County farmers have had to adapt to a world with less demand for tobacco, instead planting apple orchards, ginseng and grapes for wine. Now, less than a decade later, Norfolk farmers grow vegetables such as sweet corn, and soybeans as well as ginseng for export to Asia. The fertile ground nurtures grapes for wine, hops for beer as well as fruits, vegetables and even cattle. 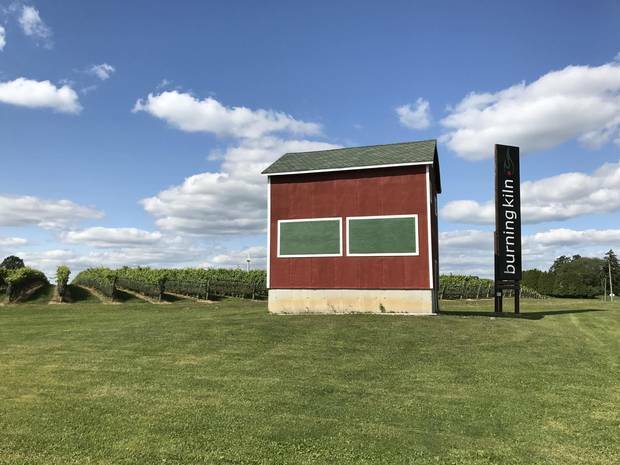 Norfolk is also beginning to offer something else: the opportunity for food-savvy southern Ontarians to spend the weekend in pretty farm country on an organized local food, wine, beer or cider tour, or cycling between farms and restaurants before glamping on the shores of Lake Erie. "Years ago, it was a hard sell, but now they get it," Hoskin, Norfolk's agritourism guru, says. He says that a decade ago, only a handful of farmers, most with on-site markets, signed on to Norfolk County Tourism's marketing initiative which, for $175 a year, guarantees local farms and businesses will be featured in all of the tourism board's promotional material, from printed brochures to social media. 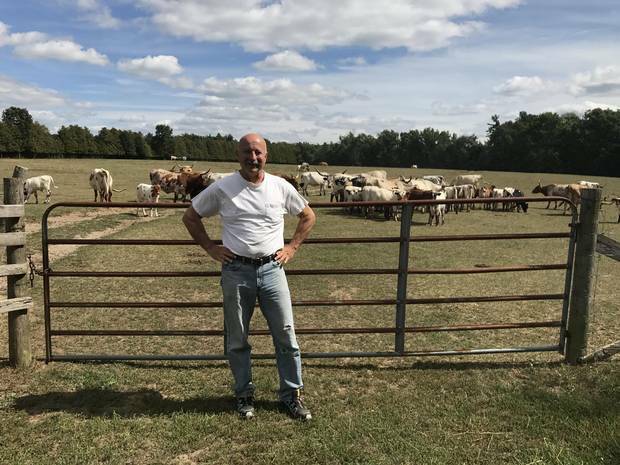 "Farmers would look at me funny when I said 'agritourism,' or tours on farms and I think the older generation wasn't interested as much and just didn't want people coming on their farms," Hoskin says. "But the younger group, as well as some of the older ones who were already ambassadors, saw it as the opportunity to educate people about farming and are very willing to open their doors and talk to people." This year, he says, 300 farmers took part in the marketing program. Today's farmers have learned to become self-promotional tour guides showcasing their homes for hungry city folk, in the hopes Norfolk becomes a culinary destination as hot as, say, Prince Edward County. Among the participants were Steve and Anita Buehner, who operate a farm near the town of Simcoe that has been in the family for generations. Forced to give up their tobacco quota and try a new crop, Steve and Anita Buehner now operate Bonnieheath Estate Lavender and Winery, a farm where visitors can taste wine and cider or simply walk through the lavender. As the end of the tobacco era grew near, they were faced with a choice: try a new crop or sell the farm. The Buehners received transition funds from both the federal and provincial governments – although they say there wasn't much choice in the matter. "It was, 'This is what we will give you for your tobacco quota, take it or leave it, but we are still taking your quota,'" Anita says. "So, in my books that's expropriation." Casting about for new crops, they started testing lavender in 2003; in 2010, they planted a vineyard. 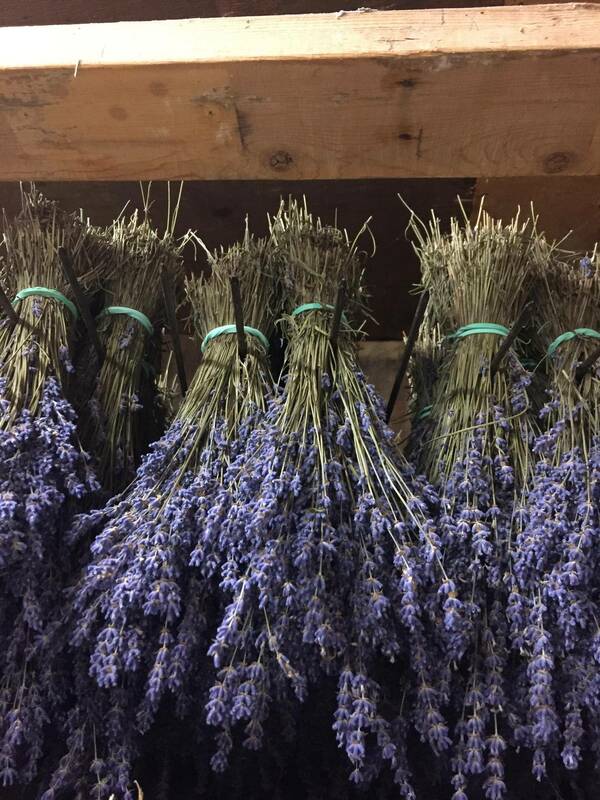 Today, Bonnieheath Estate Lavender and Winery has 120,000 French and English lavender plants, a vineyard and an apple orchard as well as 50 acres leased out to farm ginseng. The Buehners also open their farm to visitors who want to taste the wine or simply walk through the lavender. About 15 minutes south of Tillsonburg, Bryan Gilvesy once grew 300 acres of tobacco. Now, only a few old drying kilns remain as a reminder of the farm's history. His YU Ranch is home to an old-growth Carolinian forest, a tallgrass prairie and a large herd of gorgeous Texas longhorn cattle. Half of his business is selling grass-fed beef to Toronto restaurants such as Nota Bene and Cafe Belong. The other half is in-person sales to people who have travelled to visit the farm. "Usually the first time we take a walkabout and educate them," Gilvesy says. "It's not the same as a grocery store." For instance, although all his herd are longhorn cattle, none of them look alike. They don't live in a barn and instead, stay out in pasture at all times eating grass unless there are drought conditions. Bryan Gilvesy used to grow 300 acres of tobacco at his YU Ranch. Now, half of his business is selling grass-fed beef to Toronto restaurants. The other half is in-person sales to travellers. Hoskins says another nice aspect of the growing tourism industry is that young people are being persuaded to stay in the area or return home. "We are seeing a new generation taking over and it's really exciting and they are all very social-media savvy and have the business smarts," he says. Many are drawn by the chance to make and sell wine and beer. The Charlotteville Brewing Co. is run by locals Melanie Doerksen and her partner, Tim Wilson, who returned to Ontario after years of travelling in Europe. They began growing hops in 2010, eventually purchased 41 acres of a former mink farm from a family member and are planning to open up a farm-to-table restaurant this fall. Until this summer, the farm that is home to Inasphere Wines was better known for its roadside tomato stand. Third-generation farmers who work a 100-acre plot near Turkey Point, Shantel and Ryan Bosgoed wanted to do something different, so they planted a vineyard. Before coming home to put his mark on the family farm, Ryan Bosgoed went away for school, studying wine and viticulture at Niagara College then working at Jackson-Triggs Winery for three years planting. Upon returning to Norfolk, he planted 5 1/2 acres in riesling, cabernet franc and pinot noir. "Years ago, Ryan put a half-acre plot of 10 varieties and took the three best," Shantel Bosgoed says. "We are taking it slow, doing everything here from growing the grapes to corking every bottle by hand." New shops and restaurants are constantly opening in the area's small towns, such as The Combine, a restaurant in Simcoe that advertises a "menu built with local bounty." "The area is exploding," Shantel Bosgoed says. "Every year, it's changing." Norfolk County's chosen motto is "Ontario's Garden" – a lovely reinvention for a place that used to supply the province with its smokes.